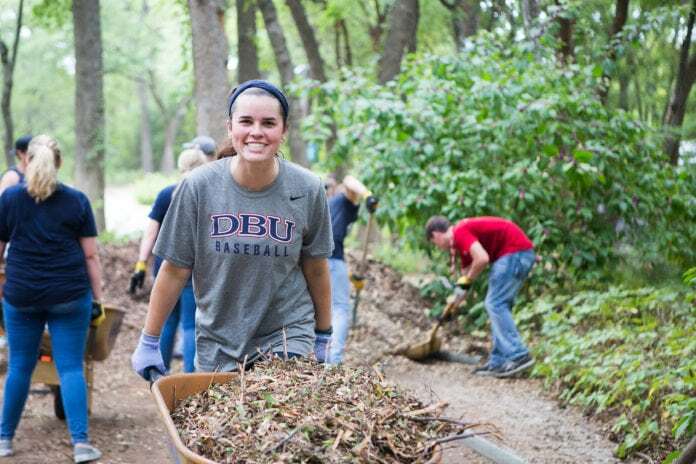 DBU student Brooke Sands serves at River Legacy Park in Arlington during SWAT 2018. DALLAS—Over 760 students filled the Dallas Baptist University campus to participate in SWAT, Student Welcome and Transition, marking the largest SWAT in school history. After two full days of excitement, the incoming new students along with 125 upperclassman leaders spread across the DFW Metroplex to spend the day stocking food pantries, painting facilities at after-school programs, planting gardens, and much more. The teams of students spanned all the way from Midlothian and Waxahachie in the south, to Dallas in the northeast, to Fort Worth and Arlington in the west. This years’ group served at over twenty DFW locations, including Mission Arlington in Arlington, Beautiful Feet Ministries in Fort Worth, Brother Bill’s Helping Hand in Dallas, and Voice of Hope in Dallas. 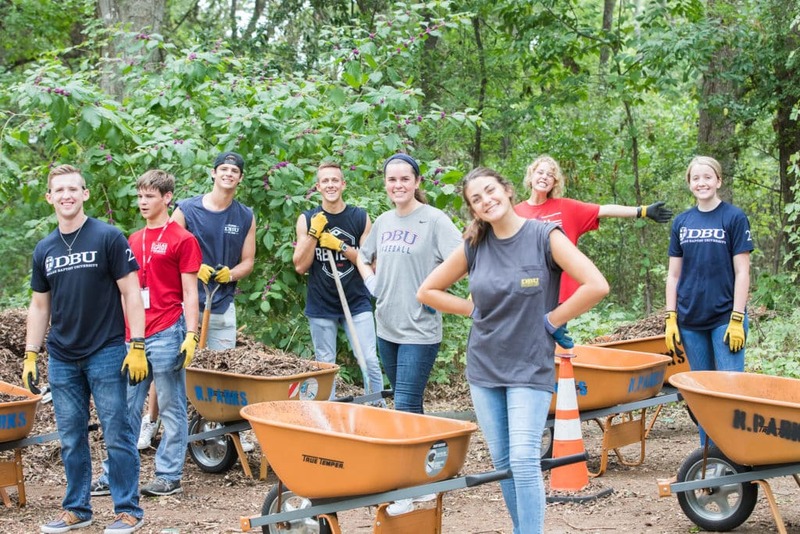 DBU students serve at River Legacy Park in Arlington during SWAT 2018. In the fall of 1988, DBU’s on-campus population numbered some 293 students, housed in one of three residence halls. This fall, 30 years later, DBU will be home to some 2,125 on-campus students. Moving beyond just the residence halls, these future Christian leaders fill apartments, brownstones, and townhomes, creating a unique atmosphere of excitement. DBU’s Campus Housing is set to expand again this fall with the opening of two brownstone buildings, providing an additional set of housing options for students and meeting the continuing demand. Currently, DBU is constructing a new Residential College on campus, which in its first phase will provide additional housing for some 70 students.